I was motivated to write my thoughts about relationship myths by an article, which appeared in The Washington Post on June 1, 2018. The authors, John Gottman and Christopher Dollard, expressed similar sentiments to my own beliefs about some of these myths. Although the article was a source of inspiration, the words and thoughts articulated in this week’s blog are mine alone. We enter into relationships with beliefs and assumptions about what a good relationship will look and feel like. Many of our assumptions are not driven by facts or accuracy but rather cues we picked up along the way from our parents, friends and society. Such information can be quite misleading and inaccurate. Here are the 6 common relationship myths. Myth # 1: Common interests keep you together: We talked about this already and I want to reiterate that shared hobbies and interests are “nice-to-haves,” not the essential drivers for success in your relationship. The most important element is not what you do together but how you interact together. So, if you’re golfing together and one person criticizes the other for not chipping properly, or for slowing the two-some down, you’ve negated the shared experience of golf. We talked about the 5:1 ratio of positive to negative interactions. What is more important for long-term success is shared vision for the future and your values. If these don’t align, your time together will become challenging when reality sets in eventually. Myth # 2: Never go to bed angry: Everyone from your grandmother to your mother to you neighbor has said, “Never go to bed angry.” However, most arguments, about 60 percent, are not resolvable. I wrote about this in one of my earlier blogs. Even arguments for which there is a solution can take time to resolve. Resolution may require a series of conversations. You’re not going to have the answers to your reoccurring issues right away. Sometimes, in the midst of a heated argument, people lose focus, clarity and ability to reason logically. The body’s ‘fight or flight’ response becomes activated and the only mission is to “win” at all cost. This is not an effective strategy. It takes maturity and self-awareness to say, “Hey, I’m feeling really angry right now and I need to calm down before I can have a productive conversation with you. Can I take a 30-minute time out? Let’s meet back in the kitchen then. Is that okay?” There are a couple of factors to consider here: “time out” is not about you storming out of the house never to return or about you returning at some point in the future. That is called stonewalling. You must indicate when you can follow-up with the conversation so as to not leave your partner hanging. Myth # 3: Therapy is for fixing a broken relationship or marriage: According to John Gottman, the reason many people say therapy did not work for them is because couples, on average, wait until it is too late to seek counsel. “The average couple waits six years after a serious issues arise before getting help with their marital problems, and by then it’s often too late,” (John Gottman). Get over the stigma that only problematic couples seek therapy. Therapy should be regarded as a preventive tool to help maintain your relationship or marriage. After all, you’re not an expert in relationships just because you are in one. Just as there are financial experts, specialist doctors and experts in every field imaginable, there are also experts in the field of relationships who know what they are doing and can offer objective perspective toward creating a deeper bond and understanding of each other. Utilize this resource for your good. Myth # 4: Score keeping helps keep track of who is doing what (equitable). When you have a list of who has done the dishes today and who must do them tomorrow, this is called score keeping. Keeping track of chores and having a quid pro quo mentality will lead to resentment and, ultimately, a schism in your relationship. As Tony Robbins says, “If you go to your relationship to get instead of give, then your relationship will eventually fail." By the way, if you haven’t started following me on Instagram, you’re missing out. Myth # 5: Communication is the Holy Grail. The holy grail of relationships is respect not communication. Communication is overrated. People who have been happily married for over 20, 30 and 40+ years say respect is the most important factor in their relationship success. Most people who have been together for less than 10 years or who have been divorced say communication is more important. It’s a given that you’re going to miscommunicate during your relationship. You’re two different people so, yes, it’s unrealistic to see eye to eye with your partner about many things. But if you have a base level of respect, then you respect your partner’s differences and his perspective. You respect the person. Without the bedrock of respect as your foundation, you’ll question each other’s intent. You’ll judge his choices and eventually these judgments will crack the foundation of your relationship. Myth # 6: Your partner is supposed to be your be all and end all. He is supposed to be your best friend, biggest cheerleader, amazing lover, attentive husband, meditation guru, work out partner and everything else. Eli Finkel’s outstanding book, “The All-or-Nothing Marriage,” which I recommend highly, espouses the notion that we expect too much from our romantic partners. I won’t summarize the entire book but the essence is this: there’s a reason you have your girlfriends and besties, to whom to vent and with whom to hang out. There’s a reason you have your parents and family. There’s a reason you have your work colleagues and your hobby friends, such as your tennis partners. Your romantic partner cannot and should not be all these things in one person; it’ is simply not possible. Manage your expectations. Be real and get real about what you bring to the table and also what you truly need from your partner. And then be grateful you have those things. P.S. If you enjoyed this blog, share it with friends who may benefit from it. P.P.S. 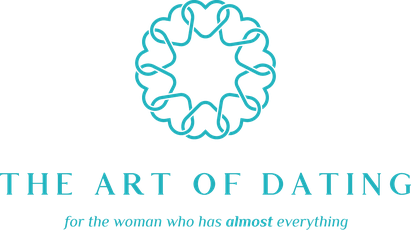 Follow me on Instagram (artofdatingnyc) for insightful content to drive success.